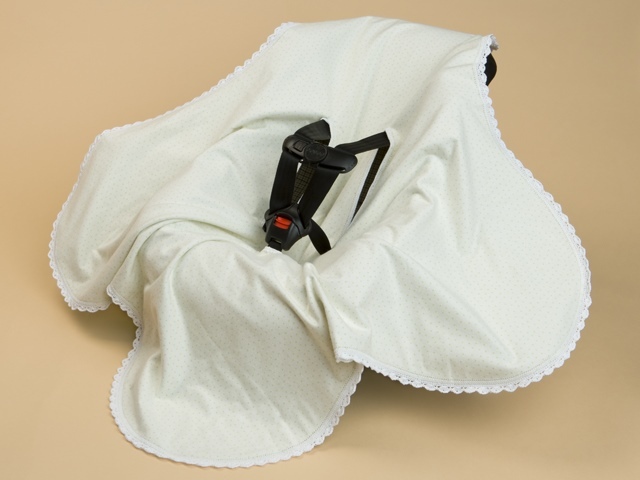 Fits both newborn and infant five point harness car seats. No interference from the car seat straps. Easy to clean. 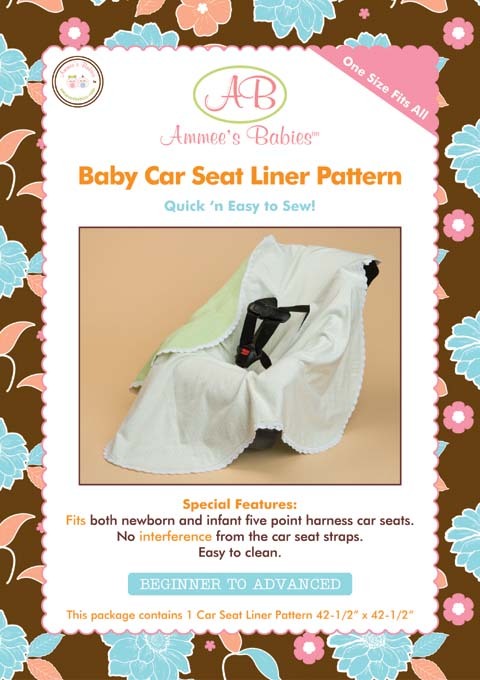 This package contains: 1 Car Seat Liner Pattern 42-1/2” x 42-1/2"
6 yards of velvet ric-rac or 1/2 yard of satin ribbon to embellish the liner’s edge. Decorate the edge with velvet ric-rac, ribbon, or pom-poms.